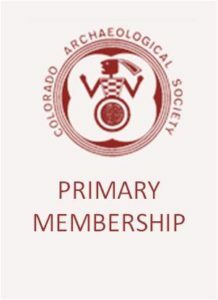 Join or renew your membership in the Indian Peaks Chapter of the Colorado Archaeological Society! Membership is open to any person interested in archaeology. All members must agree to and adhere to the code of ethics. Updates on local archaeological events. The CAS quarterly newsletter The Surveyor. Opportunities to participate in professionally supervised survey and excavation archaeological projects. Opportunities to participate in professionally supervised laboratory projects. Volunteer work and service projects. Colorado Archaeological Society Annual meetings. Support Archaeological certification training (PAAC) offered in conjunction with History Colorado. members shall receive one copy of Southwestern Lore and all IPCAS and CAS emails for members. 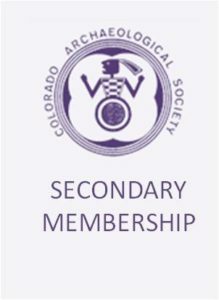 NEW MEMBERS: The Colorado Archaeological Society recently has moved to an online membership application system. Select a membership option below to access Member365. Through the Member365 portal, you can select your membership class (individual, family, student, senior). EXISTING MEMBERS: If you have already registered for a 2018 membership or registered through Member365, log in to your Member365 account. You will be asked to log in using credentials you previously set up. You can reset your password. Renewal notices will be sent automatically 1 year after you sign up/last renewed. We encourage you to join through the online portal, but if you don’t have internet access, you can still join IPCAS through a paper-based version of the same membership application. Download the membership application: Indian Peaks Chapter Membership Application. Print, fill out the form, and mail the form enclosed with membership dues to IPCAS. Mail Memership forms to: PO Box 18301, Boulder, CO 80308‐1301. Please make check payable to: Indian Peaks Chapter, CAS. Southwestern Lore is mailed to members in the Individual, Family, and Student membership categories. All other communication is sent to members via email. Membership must be renewed each year on the anniversary date of the first time that you paid online. Renewal notices are sent through email.